Last night, I taught a Custom Cricut Class. There were 2 objectives…1.) show them how to use their *NEW* Cricut Explore Machines and 2.) 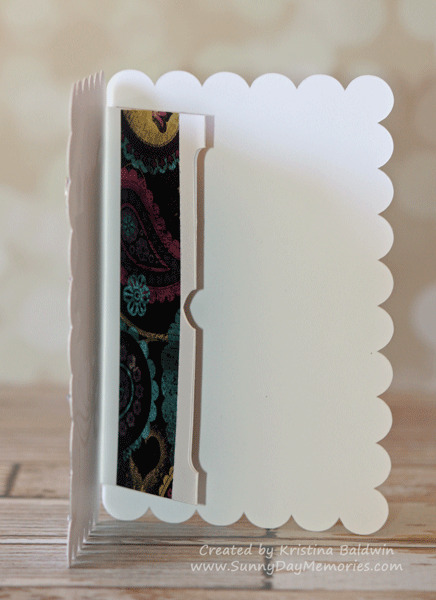 create some gift card holders. 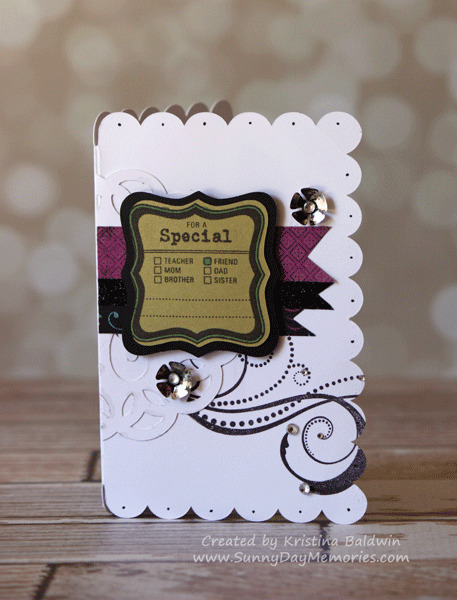 This scallop edge gift card holder card made from CTMH’s Cricut Artiste Collection was one of three projects we made. This was to give them a standard gift card holder card while also showing them how awesome the scoring tool is on the Explore. Seriously, it may be my favorite feature (silly, as that may be!) I love how it does a true score line rather than little nicks along where you should fold a project. Simple pleasures. To shop for CTMH products, click HERE. This entry was posted in CTMH Cricut Projects and tagged Cricut Art Philosophy, Cricut Artiste. Bookmark the permalink.